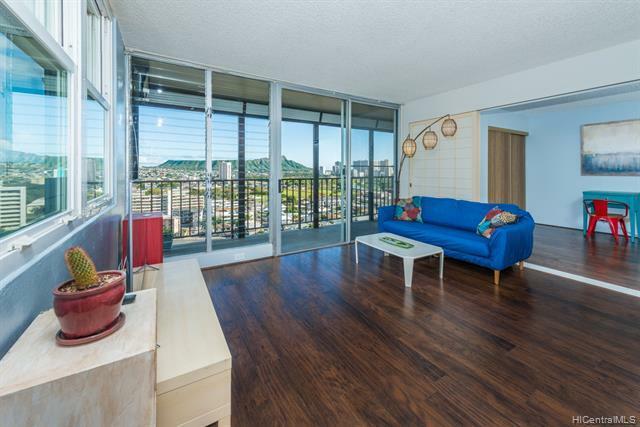 Lovely high-floor Diamond Head mauka corner unit delivers breathtaking views of Diamond Head itself, the Waikiki skyline, Manoa, sunrise and sunset. And of course, frequent rainbows. 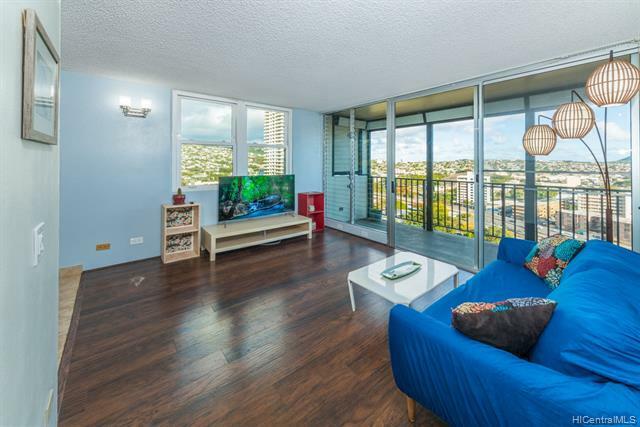 Extremely convenient location very near UH Manoa, KCC, Waialae, Kahala Mall, Ala Moana Center, and Waikiki. Freeway access and exits in both directions are extremely nearby. Constant cool breezes make summer in town easy and comfortable. Hurricane shutters can enclose the lanai partially or completely for wind and/or light control. Stacked full-size front-loading LG washer and dryer in-unit. 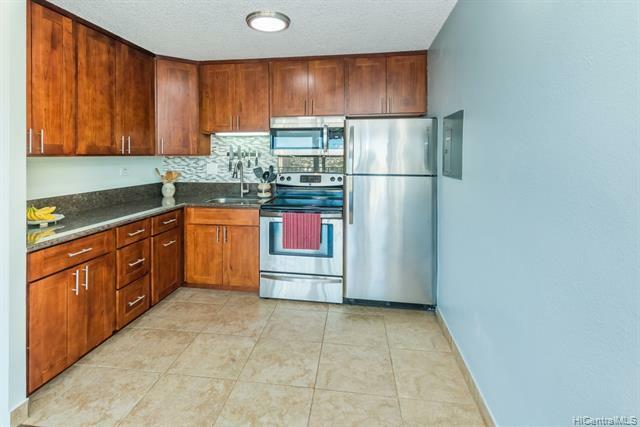 Kitchen was tastefully remodeled in 2013 with quartz counters and solid cabinets. New stainless steel microwave hood, and newer stainless steel oven and fridge. New electrical outlets and switches. 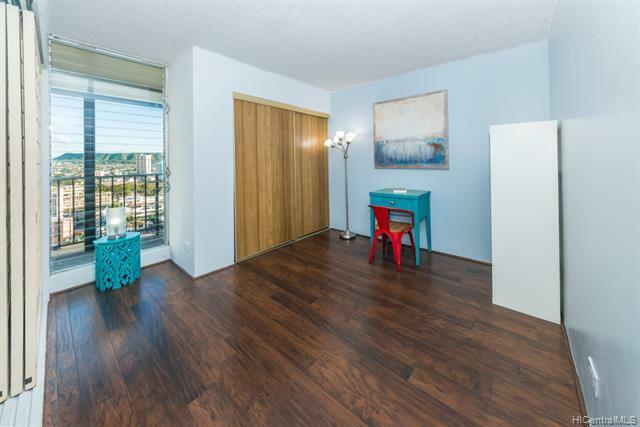 $5,000 Credit to Buyer.